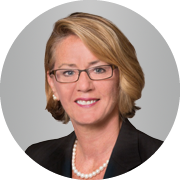 Carol J. Zierhoffer was named senior vice president and global chief information officer for Bechtel Corporation in 2013. She leads the vision, strategy and planning for Bechtel’s global information systems and technology organization. This includes responsibility for the company’s infrastructure technology operations as well as development and deployment of software applications supporting business lines and projects. Bechtel is a privately-held corporation with $38 billion in revenue and 53,000 employees around the world in 2012. Bechtel’s portfolio includes energy, transportation, communications, mining, oil and gas, and government services with projects in dozens of locations across the globe. Before joining Bechtel, Zierhoffer was vice president and chief information officer for Xerox Corporation during 2012 to 2013 where she managed all aspects of its information technology operations. From 2008 to 2011, she was the vice president and chief information officer for ITT Corporation. Zierhoffer oversaw its transformation initiative to implement SAP worldwide, driving to common and efficient global processes and enterprisewide shared services. Based on the decision to split the company into three separate, publicly traded companies, she oversaw the IT and shared services separation to spin off Xylem, Inc. and Exelis, Inc. This double tax-free spin was completed in nine months. Prior to this, Zierhoffer had a 20-year career with Northrop Grumman, where she was vice president and chief information officer for three different Northrop Grumman sectors. Earlier in her career, she also held IT and finance management positions at Fidelity Investments and AVCO Systems Textron. She served on the MedAssets, Inc., board of directors as a member of the audit committee and chairperson of the information technology committee from 2013 to 2016. Zierhoffer earned a bachelor's degree in business administration from the University of New Hampshire and a master's degree in computer information systems from Bentley University.